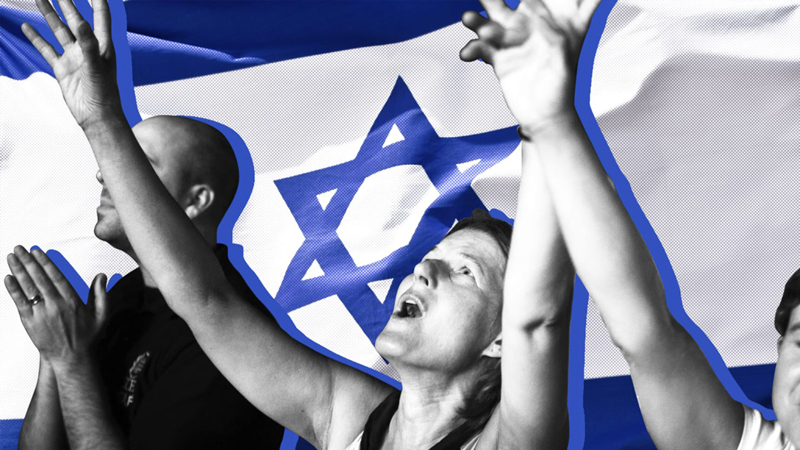 The order of end-time events can vary, but in general they share the view that the Messiah’s return will follow the restoration of Israel as a kind of Jewish theocracy. Ever since it was announced, the opening of the U.S. Embassy in Jerusalem has been fraught with controversy. Its opening this week prompted a wave of violence in which at least 50 Palestinian protesters were killed by Israeli soldiers. So it might be surprising to learn that some evangelical Christians are not only supporting, they are celebrating, this event. Jeffress’ prayers weren’t troubling only because of his history of bigotry; they were steeped in a particular kind of right-wing Christian theology that believes that the institution of an embassy in Jerusalem will bring about violence and destruction on a cosmic scale. Known as premillennial dispensationalists, this subset of evangelicals reads the embassy as an important and necessary step to the bringing about of the Apocalypse. The Apocalypse is broadly thought of as the end of the world and, to most people, its a time associated with destruction, judgment, the overthrowing of temporal powers, the return of the Messiah, the end of the world as we know it, and the beginning of a period of blissful eternal existence. Though many texts in the Bible discuss the “Day of the Lord” and a coming time of judgement, the primary source text for this kind of perspective is the book of Revelation, the final book of the New Testament. Often erroneously credited to the author of the Gospel of John, Revelation or “the Apocalypse of John” is an example of what scholars call “apocalyptic literature,” a genre of ancient literature filled with coded symbols and predictions about the future. Revelation was likely written at the end of the first century during the reign of the Roman emperor Domitian. But because it is written in symbolically coded prophecy, Christians have been treating Revelation as a timetable for the end of the world ever since it was written. Beginning in the 16th century, English puritans began to develop a view of human history in which time is divided into various “dispensations” (periods of time, each of which is illustrative of a particular period of the divine plan). The final period of human history, before the Last Judgment, is called the “millennial kingdom,” a 1,000-year period in which Christl reigns. This period is described in Revelation 20:1-8, and some early Christians, too, subscribed to the view that there would be a millennium of earthly reign before a final catastrophe. The theological heirs to these puritanical Christians are those evangelicals who, like Jeffress, believe that the book of Revelation (with some supplements from the book of Daniel, Ezekiel, and 1 Thessalonians) provides a template for the end of the world. A central component of their theology is that true Christians will be spared any further suffering because they will be “raptured,” or taken up to heaven, before the final horrors begin. It’s everyone else who will suffer. If all of this sounds somewhat fringe, it’s worth bearing in mind that the apocalyptically styled Left Behind series that was published in the 1990s sold more than 80 million copies. For Israeli Jews who don’t believe in these interpretations of history, these end-time prophecies might seem irrelevant. Why worry about the possibility of a divine genocide that takes place according to a particular strain of Christian theology when you do not believe in Christianity at all? If Christians are funding your existence with your eventual destruction in mind, who cares? After all, there are far more tangible enemies surrounding you on a universally-agreed upon terrestrial plane and defense against those enemies is a more pressing concern. The unknown but nonetheless important threat here is, what will happen if this particular group of Christians become convinced that they do live in the end-times? The Bible describes the divinely orchestrated genocide of most human beings. This group, according to Jeffress, will include Mormons, Jews, Roman Catholics, Muslims, and the LGBT community. Not only are some people supporting political interventions on the basis of their religious beliefs, they are actively trying to bring this kind of violence about. And violence on this scale is not ethically bothersome to them: if the world is divided into followers of God and followers of the devil, there is no moral imperative to try to save those who have aligned themselves with evil or failed to act as militarized agents of God. The book of Revelation envisions judgment upon all of those—children included—who do not follow God. While rapture-believing Christians are vehemently opposed to abortion, the fate of those children who are living at the time of the apocalypse is less of a concern. The biting irony here is that most academic Bible scholars do not think that Revelation is a timetable for the end of the world at all. Instead, they argue, this first-century document was written as a response to the social marginalization experienced by a small handful of Jesus followers living in first-century Asia Minor (modern-day Turkey). According to the work of Yale professor Adela Yarbro Collins, the predictions made by Revelation served a cathartic function for members of his community because it assured people that there was a divine plan. In fact, most of the predictions made in Revelation were assumed by its author to have already taken place. If all of this seems, well, deeply ethically troubling, that’s a good thing. The apocalypse is a time in which the ordinary ideals of mercy, forgiveness, and compassion are suspended in favour of divine judgment and vengeance. People should worry about the new “Christian ethics” of the Apocalypse, not because it will happen, but rather because of the ways that some powerful individuals will behave if they think the end times are upon us.